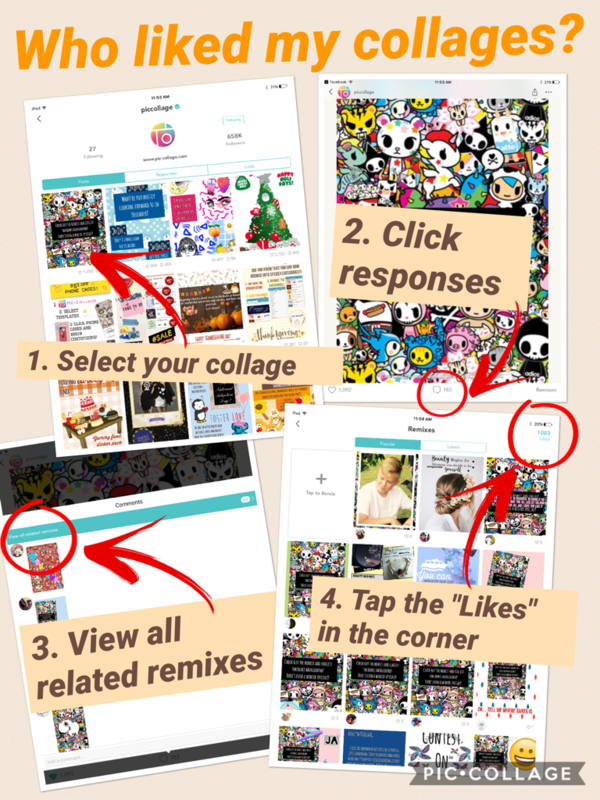 To view who liked your collage, please tap the collage => tap the number of responses => view all related remixes => tap the number of Likes in the upper-right corner of remix list. Please refer to the instruction collage below. 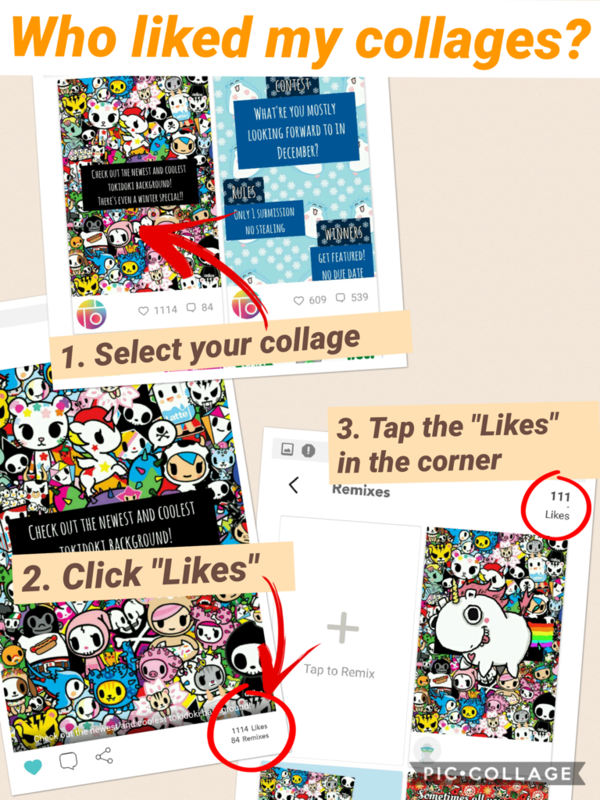 To view who liked your collage, please tap the collage => tap the number of responses => tap the number of Likes in the upper-right corner of remix list. [Social] What is "Explore" in Pic Collage? [Android][Social] How to comment in Pic Collage?